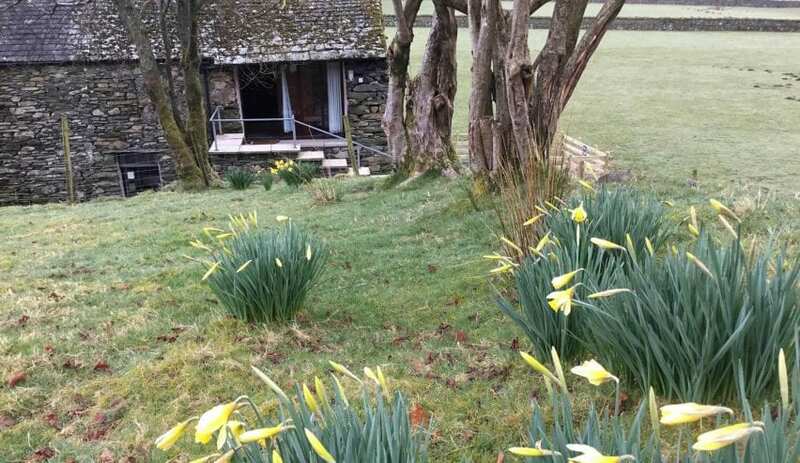 Dinah Hoggus Camping Barn is situated on the old packhorse route to Watendlath. 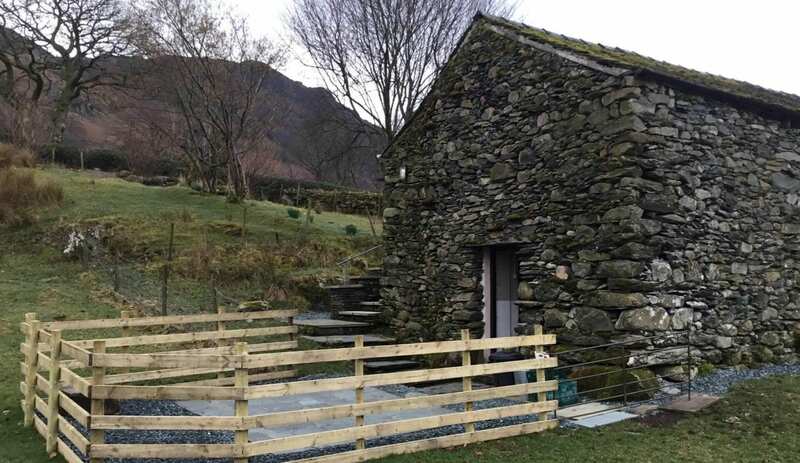 It is a traditional Lakeland Field Barn or Hogg House on the outskirts of the village of Rosthwaite in the Borrowdale valley. The barn is right on the Cumbria Way and the Coast to Coast walk. The sleeping area is on the first floor and 12 mattresses are provided. A cooking and eating area is on the ground floor with tables and benches. There is electricity and water, a small electric ring cooker, microwave oven, electric kettle, toaster, clothes dryer and electric heaters. The toilet / shower room is at the end of the building and has an electric shower and washbasin. There is a pub is 300yds away and village shop 200yds away. Well behaved dogs welcome. Sole occupancy available and if there are children under 5 you must book the entire barn for the sole use of your party. Sole use 2 night bookings only on Friday and Saturday nights. Check the Lakeland Barns website where you can book online. Thanks to Mick Garratt for use of this photo under creative licence. This accommodation is featured on our map of the Lake District and here is its own website. £11 pp. Electricity is charged extra by meter reading. Book online. Collect the key from Stonecroft (400yrds from Barn in the village). 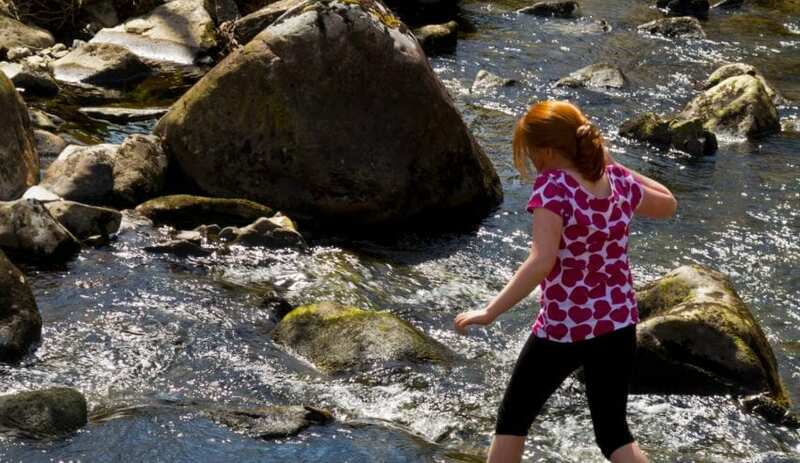 The camping barn is situated on the outskirts of the village of Rosthwaite in Borrowdale. Take the B5289 road out of Keswick up the Borrowdale Valley for approx 6 miles. When you see the Rosthwaite village sign take first left (Hazel Bank Lane) over the hump bridge and into the left. Park beside the barn. The local bus service out of Keswick stops at Hazel Bank Lane End (Rosthwaite), just 100yds from the barn. This accommodation allows dogs by arrangement, is in a National Park, is available to individuals, has a pub within walking distance and is on the Cumbria Way, the camping barn map and the Coast to Coast Walk. Dinah Hoggus Camping Barn is handy for the village pub on the outskirts of the village of Rosthwaite. 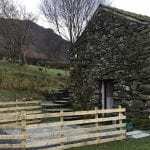 Dinah Hoggus Camping Barn is on the outskirts of the village of Rosthwaite in the Borrowdale valley. It provides simple dog friendly accommdation on the Coast to Coast Walk and is handy for the village pub. The camping barn was converted from a hogg house with the suport of the YHA over 20 years ago. For the last 10 years it has been part of Lakeland Camping Barns and it is now part of the Independent Hostels UK network too. Rosthwaite – The ideal base for a perfect walking holiday! Found gleaming in the beautiful Borrowdale Valley, Rosthwaite is a true gem. Ringed with mountains and winding footpaths, lovers of nature will be engulfed in a magical atmosphere, among some of Cumbria’s most fantastical fells. Let your wandering mind take you on an adventures, past glistening tarns, through sun-soaked valleys, and ascend the wizened mountains that watch over the fells. There are many footpaths right from the door of Dinah Hoggus Camping Barn, including one to the pretty hamlet of Watendlath and then onto Castle Crag. Or take advantage of the opportunity to visit the caves where Millican Dalton, the “Professor of Adventure”, took residence in the nineteenth century. 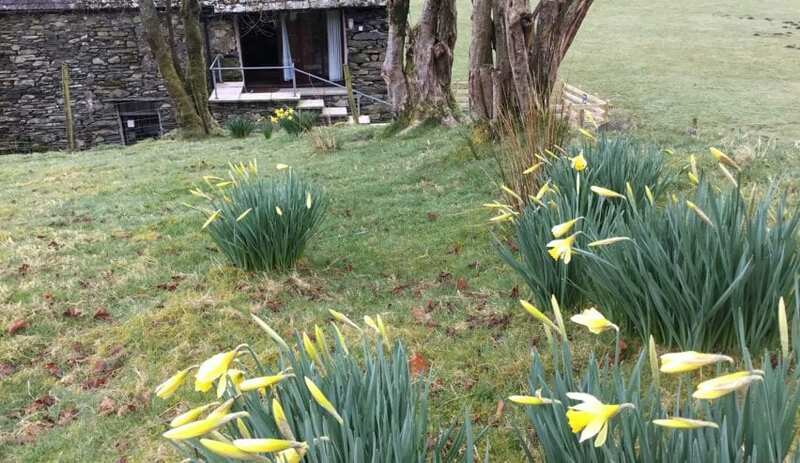 See the spring Daffs at Dinah Hoggus camping barn. A traditional Lakeland Field Barn or Hogg-House on the outskirts of the village of Rosthwaite in the Borrowdale valley. Part of the Lakeland Camping Barns network, this camping barn is available to book online or by phoning the Lakeland Camping Barns booking line on 01768 774301. Dinah Hoggus camping barn is handy for the Coast to Coast Walker and the village Pub.